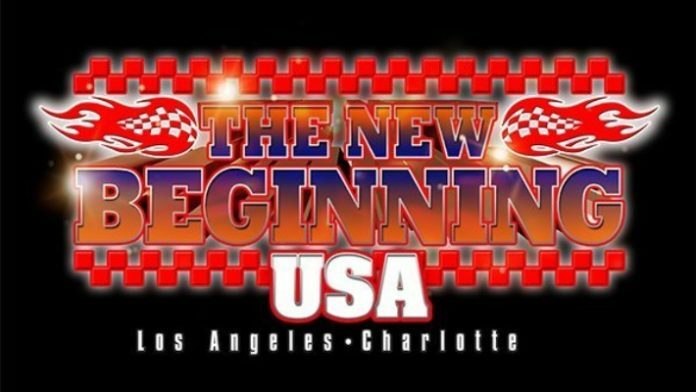 NJPW continued their Road To The New Beginning tour on 1/30 with their first 2019 show in America. The show took place from the Globe Theare in Los Angeles. January 30th marked the first show of NJPW’s USA version of the tour. The event took place from the Globe Theatre in Los Angeles, California. Draw. The two US Young Lions would wrestle to a time limit stalemate. Jonathan Gresham defeated Tyler Bateman via pinfall. Gresham would outwrestle his NJPW La Dojo opponent, ending the match after a modified Jackknife cover. Despite Taylor having the obvious height and weight advantage, Cabana would be able to execute a clutch hold at the right moment to earn the win. The Killer Elite Squad would hit the Killer Bomb onto Brody King to secure the victory. Cobb took Fredericks on a quick Tour of The Island, putting him away for a quick win. Chuckie T would lose out to David Finlay after the latter managed to pull off the Trash Panda. Robinson’s Pulp Friction finisher was enough to put away the team of Roppongi Vice, reuniting for this special ‘one night only’ tag team encounter.